Leauge venue: 1897-1964. League (VFL/AFL) Matches: 613 Record Attendance: 34,765-Fitz v Ess, 1923. This series of ‘Home and Away’ posts are a look back at Melbourne’s footy grounds to essentially see what’s left. Whether it be an old entrance gate, a grandstand or perhaps just a plaque, I’ve searched high and low for whatever remains I can find. These posts will essentially be based on a wide range of photos i took a good six or seven years ago when I had the time! 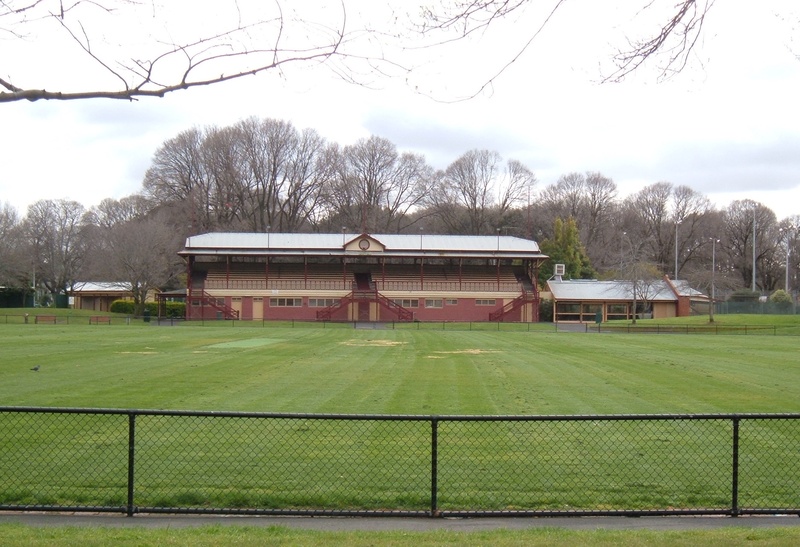 I’m glad I did take them because much has changed in that short period.I’m starting proceedings by looking at Fitzroy Football Clubs ‘spiritual’ home, the Brunswick Street Oval. Here is a shot of the old cricketers stand which still stands, taken in 1920. To the left stood it’s ‘sister’ or the football stand, which was destroyed by fire in 1976. 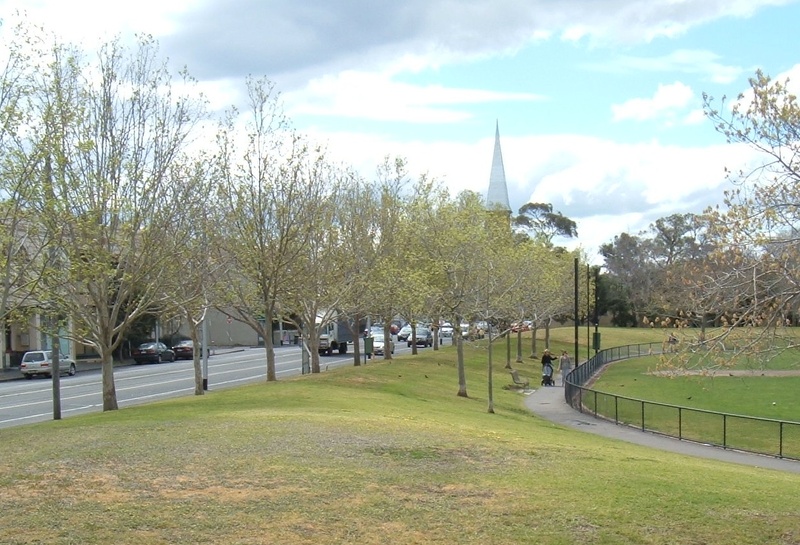 The land which became the Brunswick Street oval was set out for recreation in Fitzroy, Melbourne’s oldest suburb, in 1862, and as every other suburban football ground, began life primarily as a cricket venue. 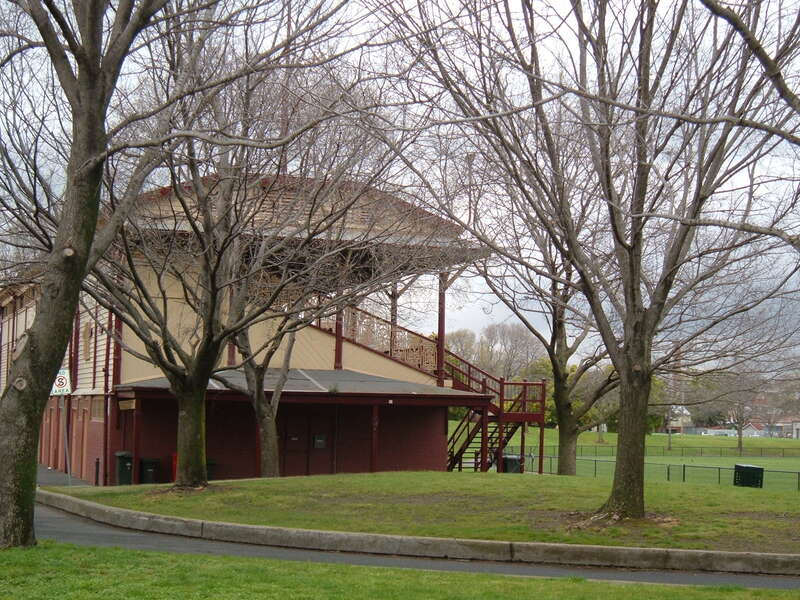 The Fitzroy Football club was formed in 1883, entering the VFA, the top league of its day, the following year. Naturally, the football club called Brunswick St. Oval home. 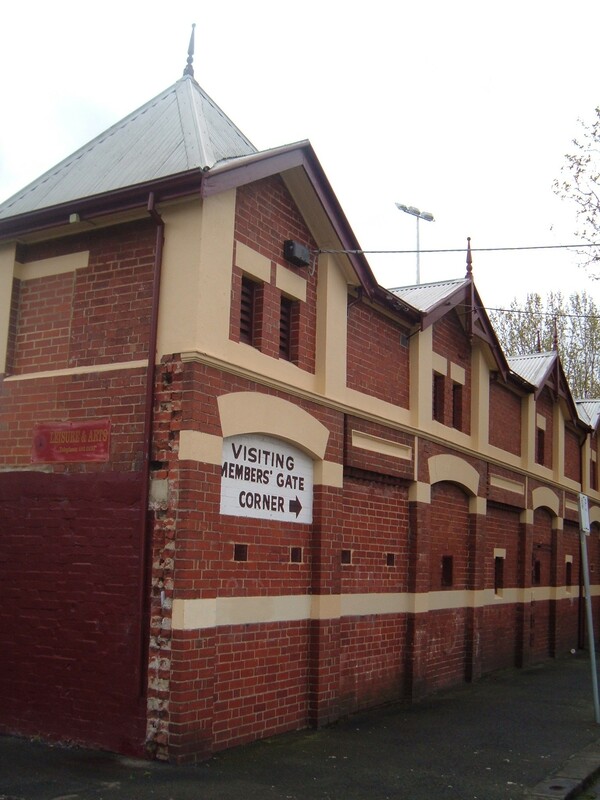 The VFL broke away from the VFA in 1897, and Fitzroy was one of the 8 founding clubs. In fact the Roys were the leagues first powerhouse, winning four of the first nine premierships. Early days of the VFL also saw finals shared between the grounds, and Brunswick St hosted 4 finals between 1897 and 1906. The club was able to build its own grandstand alongside the cricket stand in 1905. These were prosperous days for Fitzroy and the Brunswick St oval, however it was to be the last ‘development’ of the ground. By the time it ceased to act as a league ground after 1965, not much had changed. And here’s my picture from essentially the same forward pocket. 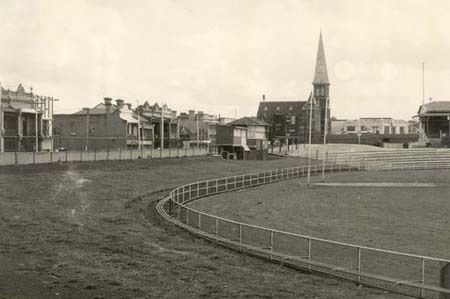 Fitzroy continued to train at the ground before moving their headquarters to South Melbourne’s Lakeside Oval. 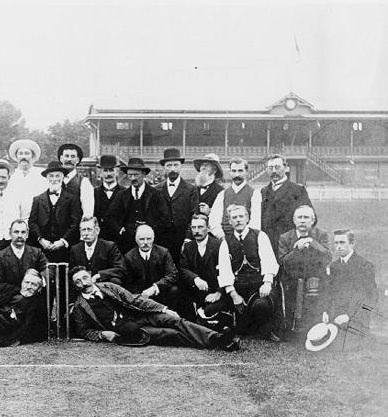 The cricket club continued on until a dispute with the local council which saw them merge with and move to Doncaster, rendering the ground essentially useless. The facility was opened to the public and local soccer was played there for a time in the late 1980’s. 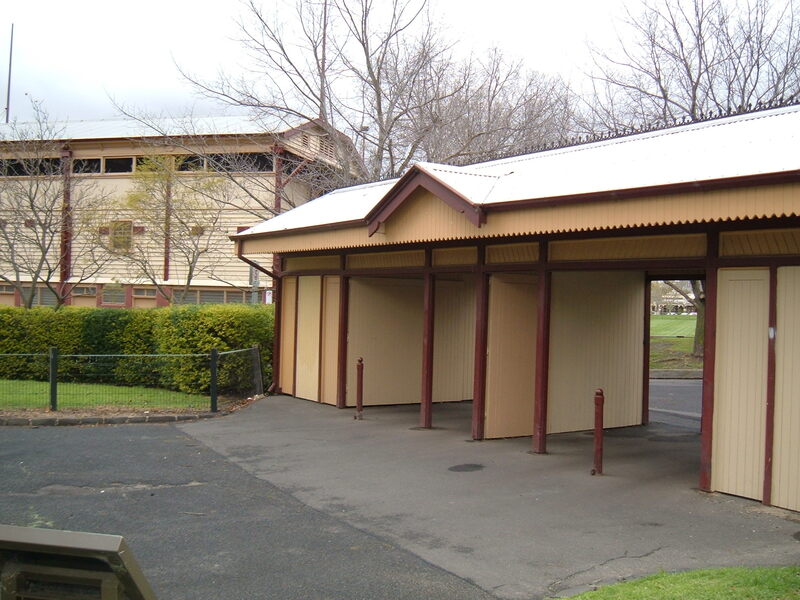 The cricketers grandstand thankfully was listed as a heritage building by the national trust of Australia. The 1990’s saw the ground once again used for football, with VAFA club Uni Reds playing their home matches at the old league venue. Unfortunately the Fitzroy Football club ceased to exist as a league club at the conclusion of 1996, but the Uni Reds soon became the Fitzroy Reds, adopting the Lions old jumper. 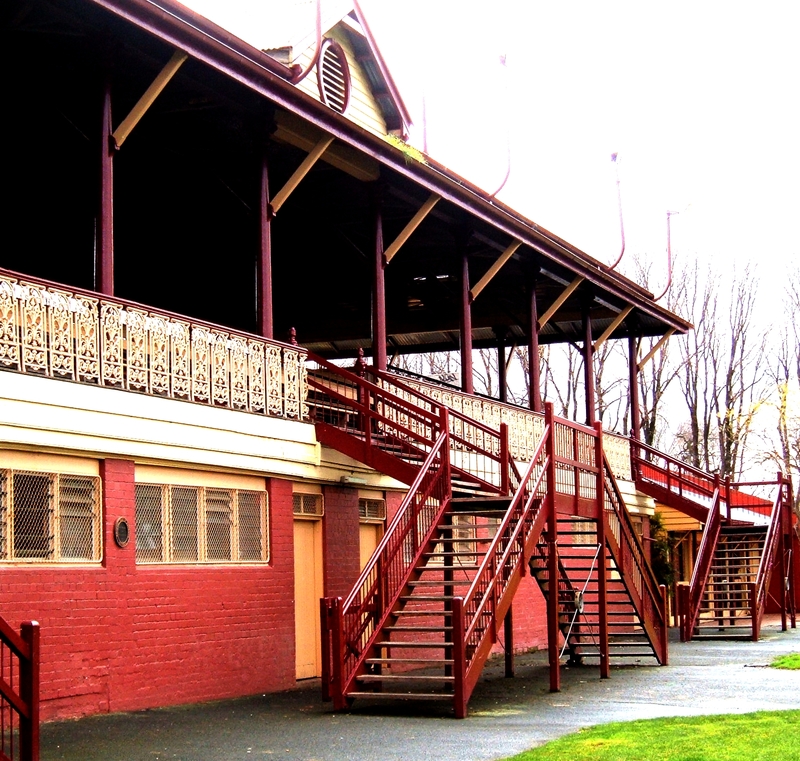 In 2008, the Reds officially merged with the old Fitzroy Football Club, meaning the the Roy boys, though no longer in the spotlight of the AFL, are back home where it all began. This entry was posted in Home & Away by theholyboot. Bookmark the permalink. Great stuff, love the old grounds. The AFL has no character now. And to think that I was born across the road from such history, at the Haven in Alfred Crescent. Good stuff, nice photos and looking forward to your profiles of the other grounds. Its a shame that so many of the old grounds have been ripped apart. In January 1959 my parents and I emigrated, from England, to Melbourne on the M.V. Fairsea. My father worked on this ground as a curator and we lived in a house (no longer there) at the back of the grandstand. The house looked out onto Edinburgh Gardens. I was 14 at the time and I worked in Melbourne at Sands and Mcdougalls in Elizabeth Street. On Saturday afternoons, when football was being played (The Fitzroy Lions), I worked in a milk bar opposite the ground in Brunswick Street. I did a paper round and delivered them in Alfred Crescent. 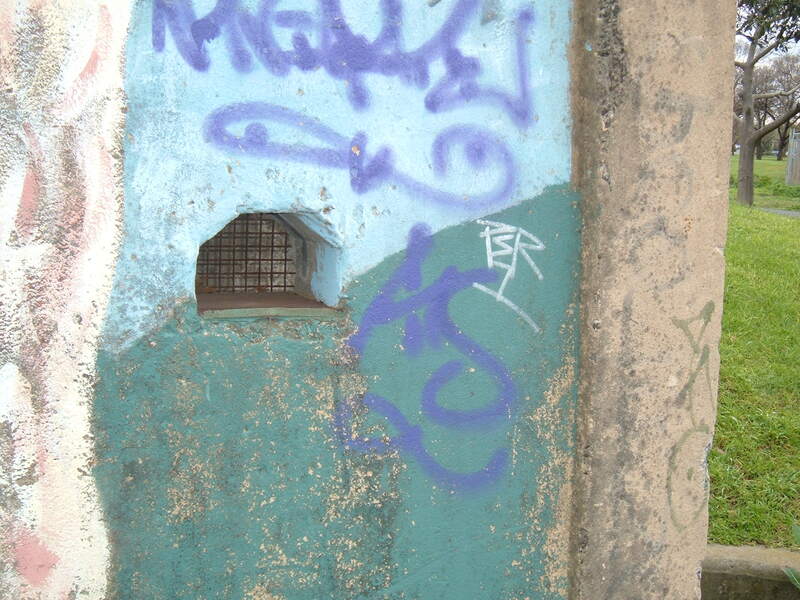 I have happy memories of living at North Fitzroy. I must say that whilst I lived at the ground I never saw the grass so green. Fantastic collection of information there. My great great grandfather, Theodore Goodenough a builder and son of a pioneer of Fitzroy North played in the first elevens of 1888 at Brunswick St oval. He also played for the early Fitzroy football team and our family were supporters through and through. 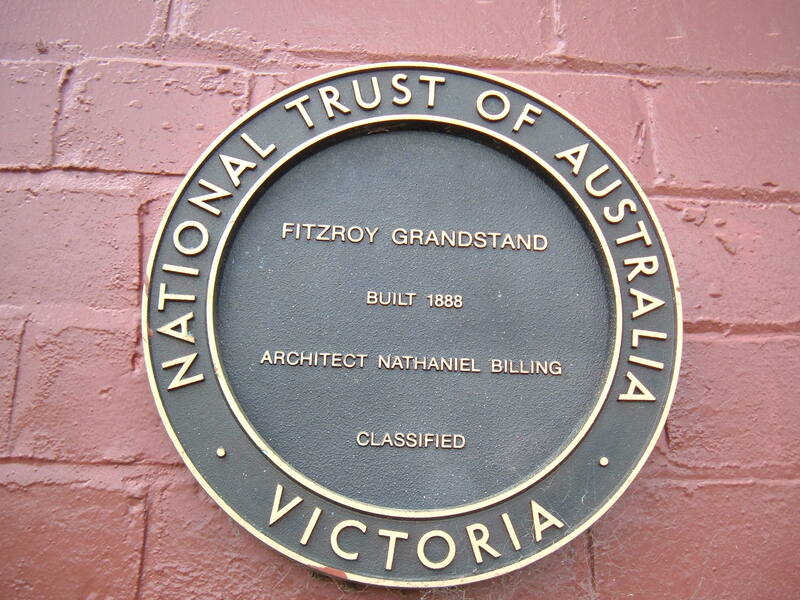 According to family folklore the City of Fitzroy refused to pay for the cricket stand to be built (land boom recession times), so Theodore carried a kerosene lantern and visited local residents at night and took up a collection for building the stand, of which him and his partners carried out.